Take a look at the different rooms I’m looking to organize. The main items that I want to find a place for are books, catalogs, random toys, remote controls, knick-knacks and blankets. These visuals will help make a decision on what to buy or save for later. A few of my picks are also on sale, yay! ?Mouse over each item to view pricing? I’m looking for shelves to display a few books on crafts and decor. The books in itself are a piece of art ;) The small bronzish ottoman is perfect for storing light blankets, and the mint basket to the bottom right would hold magazines. In my bedroom, jewelry and books are scattered on my dresser, mantle and night table. I think if I tackle the baubles and books, I’ll be set! Toiletries are scattered on the counter and having a cart like the one above would be a way to display them and find everything I use in one place. Baskets for towels are always a win. I’d like to have a rec room, and my favorite pick is the hello kitty mini fridge. Who doesn’t need a hello kitty mini-fridge? I’d like to consolidate my crafting area to one table and file cabinet. The table above has an industrial look but is not the prettiest. I would paint it white with mint legs. This piece is a good deal for $150ish total. 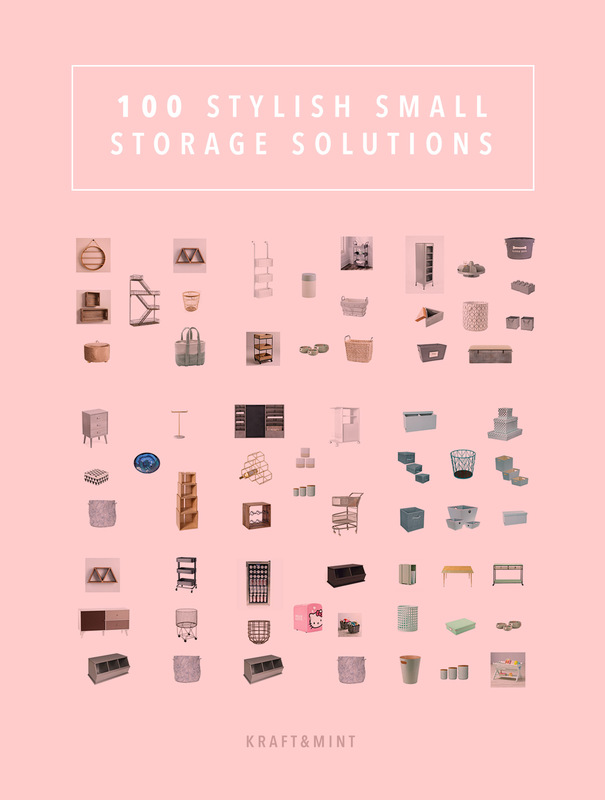 Is your mind spinning with storage bins, shelves, and beautiful containers? Mine is! I hope you find my blog post helpful and inspiring to tackle the areas in your home that need more organization.